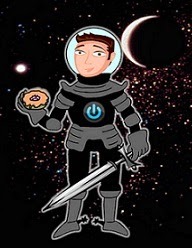 David Powers King: Back To Blogging, Updates, WOVEN Blog Tour Sign Up, and "900" Members ARC Giveaway Extravaganza! Back To Blogging, Updates, WOVEN Blog Tour Sign Up, and "900" Members ARC Giveaway Extravaganza! Guess who's back? And I'll tell you what - it's good to be back! 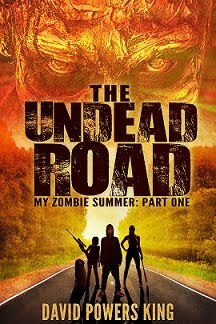 Besides visiting my family in Illinois and much needed repairs to my home, I meditated over my online presence and how to go about being consistent with it, as well as pushing the envelope to finish The Undead Road and working on first round edits for Woven from my publisher. The best thing about going over edits is that you fall in love with your story again. A few adjustments later - it reads soooo much better! We've also been very fortunate to have some BIG endorsers! You'll get to see who they are when the time is right. Still waiting on the cover, but we expect to have one before this month is out. We're also cutting a trailer that - seriously, this is awesome! - will literally transport you to our land of Avërand. Speaking of covers and trailers, NOW is the time to sign up for the Woven Cover Reveal and/or Book Blog Tour! If you're interested, send me a quick email here and I will send you all the information you will need when it becomes available. Unfortunately, we're already full on ARC requests for review, but Michael and I are open to interviews and guest posts. Or, if you just want information about the book and use it to do your thing, that's fine too! Extra points for creativity. I'd like to thank you all in advance for your enthusiasm and believing in our story. It would be an honor to share this journey with you all. Sign ups are now open! We look forward to hearing from you. "900" Members ARC Giveaway Extravaganza! Watch out, Cosmic Crew ... I'm going totally tribbles! We've breached the 900 Member mark, which means we're long overdue for a hull upgrade. We may have to move into a cruiser. Celebration time! Below are the goods I'm giving away, including a signed ARC of Chad Morris's The Inventor's Secret. Click on the covers to read more about these teenage witches, time travelers, and True Sight-ers! Bonus Prize: an ARC of the next big ghost story, Woven! Here's how to play: in the comments, tell me what book you'd like to win - you can pick one, or two, or all of them. I'll enter you in a raffle all this week and announce the winners next Monday, the 8th. You don't have to be a member of this site to participate, and I DO ship wherever mail is delivered. This giveaway is open to everyone! But first, a Shout-Out needs to be given to those who have joined us and made this giveaway possible. Do me a favor - check them out! I'm David, and garage door openers use logic boards - who knew? Congratulations on nine hundred followers! Hope we get to see the cover soon. Your blogging schedule will help you keep your sanity - trust me! That's why I only post those three days. Congrats on 900! That's amazing. And I can't wait to get my hands on Woven. Awesome! I think The Inventors Secret would be fantastic. Congrats on 900! That's quite the achievement :) I've read all of the books you mentioned so getting your ARC would be the bomb! 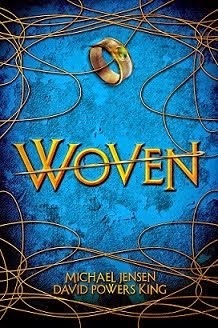 I can't to see the cover for Woven! Congrats on 900 followers. The Insight book sounds interesting. 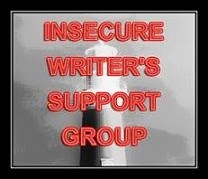 My site is always open for book tours. Congrats on the 900! I'll take any of the books but I'm eying The Inventor's Secret with particular longing. Wahoo!I'm excited to see the cover of Woven! I looked it up and the synopsis sounds intriguing! I'm so excited for you. I'd love to read Chad's book, since I've actually met him and he seems like a nice guy. We returned to the blogosphere on the same day. :) Congrats, DPK! Awesome on your 900 followers. I'm sure I would enjoy any of those books. Off to sign up for the tour--best of luck on the rest of your edits! And congrats on reaching 900 followers, that's epic! Great selection of books for the giveaway too! I'll sign up for that cover reveal and blog tour stuff. I add my congrats to all the many others. Glad your back, hooray to your success with Woven. I've read it and what a story...lovely, beautiful and above reproach. Keep up the good works and words. Yay, 900!! My vote is for Beholder #1 by Terron James. Inventor's Secret is awesome, but I already have my copy. Signed. And read... twice! Congrats on 900! I'm trying to stick to a MWF blogging schedule as well. We'll see how it goes. Good luck! Woo! Congrats on 900! I pick whichever of the three books was your favourite. Congrats on 900! That's a real dozy. I pick Beholder Insight and the Woven arc. Wishing you all the best and thanks for such an awesome giveaway. Looking forward to hearing all the details and seeing the trailer and cover. Sent you an email already. "Put me in, Coach." I'm Mark and I'm bored with logic. Wow, three cheers to you - reaching 900, excitement for Woven and fantastic giveaways! Oh, and I suppose I should actually pick one, huh? ;) I've gotta go with the Inventor's Secret. congratulations on your 900! Dragon is always happy to get more books so I raise my paw for the three of them and try my luck. Sent mail already. Welcome back, Sir David. Well I'm glad my clicking Follow will help someone get some new books :). They all look like good books but I'd pick The Inventor's Secret. Or Blood Moon. They both look good. I can't wait to see the cover. Welcome back and congrats on the 900 followers! I already have Inventor's Secret, but would love any others, but most especially WOVEN! Welcome back, David. Excited for your cover reveal. Congrats on the 900 followers that's mega. I'm sure I'd love to read any of these books so count me in please. Congrats on reaching 900 followers. And it's really good that you cut back the blogging. I can imagine with work and your writing deadlines that more blogging is too much. Let someone else who can read your awesome books you're giving away win. I have too many books to read right now. CONGRATS!!! I just sent you an email! Let me know if you would love to stop on by as part of your book tour. Exciting things are happening, my friend! Guess who's back (back back) back again> DPK's back (back back) tell a friend! Bonus points if you get that reference. Welcome Back!! It sounds like you are ready to roll! Let me know how I can help - I'll send an e-mail in a minute. Awesome, congrats on 900. and can't wait to see what you do for the cover. David, thanks for the shout out and comment on my blog! Put me in the raffle for all three. Can't decide so I'll just go with the odds!